Jon’s vocals on this album are amamzing his voice is timeless and I for one am very excited to hear him with Trevor again making wonderful music I think the more Yes type music the better all Yes fans will be! Excellent choices for the Desert Island choices. Since all the albums are brilliant it’s hard to choose. I still haven’t heard the Anderson/Stolt album fully but after reading your comment of it being the 21st century Tales!! I’m going to get it right away. Thanks again for listening. We appreciate your support. My two desert island discs are: Going for the One and Fragile. I have a hard time picking between Fragile and Close to the Edge but I went with Fragile for sentimental reasons – it was my first Yes album and I got in in 1971 or 1972. But Going for the One was the clear first choice for me. Seeing the whole thing live a few years ago made it even more of a favorite. I have listened to Invention of Knowledge twice now and I’m quite impressed. Is it the best prog rock album of the century? I don’t know – I like Perilous by Glass Hammer a lot. That one might get my vote. BUT Invention is outstanding. Excellent choices for the Desert Island albums. I’m getting very anxious to get this album. Living in Canada the release date is later then in the UK and the US. But you also have me interested in this Glass Hammer album. I’ll be sure to check it out. I’ve only listened to the whole of “Invention of Knowledge” a couple of times and the opening “side” maybe half a dozen times. It is a wonderful album, but comparisons to Tales seem, to me, rather superficial. There are certainly similarities: Four long tracks; almost unintelligible, yet uplifting, spiritual lyrics being the obvious ones. Another similarity is that the more one listens to the album, the more one discovers (and I know I have much to discover yet on “Invention” – and anticipate I will still be discovering new things for many years to come). But “Tales” and “Invention” bring us to that point from totally different directions. On first listening, “Tales” must be one of the most inaccessible albums ever; “Invention, by contrast, is immediately accessible. Despite the many months of studio time “Tales” still has the raw energy and excitement of musicians and composers exploring and experimenting in their art. “Invention”, on the other hand, has the finely honed skills of master craftsmen. They know what they are doing, whilst there may be an element of exploration as the composers and musicians explore each other’s talents, they are not really exploring new territory in the way that “Tales” was. Another big difference is that the vocal harmonies, effective though they are, are fairly straight forward and have nothing like the originality that we might get with a “Yes Choir”. Indeed many of the Yes harmonies/counter melodies take several listens until one’s mind can establish exactly how they work. I’m sure this is one area where Chris’s input in Yes will be sadly missed. 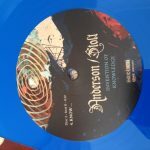 “Invention” is extremely vocal heavy. Much like “Olias of Sunhillow” virtually all the melodies are given over to Jon Anderson’s voice. If I had to picjk a disappointment with this album, this would be it. Whilst i cannot claim to have great knowledge of the work of The Flower Kings, I know that Stolt can write some fantastic melodies for keyboards and guitar and I’d have liked to have heard more here. The other obvious difference between “Tales” and “Invention” is that the former offers far more contrast. Even though “Invention” has some passages with full band and even orchestral sounds and some others with just one guitar and voice, the production (or possibly the performance) seems to normalise or compress any real difference in dynamics out of the music, whereas the “empty” passages of “Tales” seem extremely sparse and the “full” ones seem really “in yer face”. Ditto the contrast between faster and slower passages. But the biggest difference between the two albums in in discord/concord. “Tales” is full of dissonance resolving into concurrence (order out of chaos) whereas “Invention”, rather like “Olias” seems to be consonance throughout. Like most of Anderson’s solo work. I love this “invention of Knowledge”. I really love it. I simply challenge the idea that this owes anything significant to “Tales from Topographic Oceans” as stated in the blurb. Thanks Tim for your comments. Some very interesting points made and all of them make me more and more excited about receiving the album. Although after looking at a few other sites for reviews. ..I found a few people say that Jon sings too much on some of these songs…and some parts would have turned out better if he had left it more instrumental instead of putting vocals everywhere. Curious on your thoughts about this. 1.Tales for Topographic Oceans – overblown but so many great explorations of themes and such contrast. 2. The Yes Album – my initiation to Yes. It points towards greater things to come and it simply ROCKS! Again another fine selection…one pattern that I see is picking the album that introduced you to the band. Hello Joseph. ..I like the way you picked these 2 albums…the first 2 that entered your head..seems very logical. And of course anyone who picks Relayer is alright in my books. Waiting for the mail carrier today who will deliver to me the Anderson/Stoit cd! I am so excited about the music and your podcast really has me psyched! My desert island albums would be Going for the One and Clise to the Edge……would try to smuggle in Relayer! My desert island discs would be Fragile and Relayer. No, Close to the Edge and Topographic Oceans. No, wait, The Yes Album and Yes. Aw, heck, I don’t know, but I can tell you that it definitely would NOT be Union. Invention of Knowledge….. after one listen I’m not sold on it. Jon Anderson is not the lyricist he once was, although his voice is strong as ever. Roine Stolt’s work on the album is a good representation of what makes the genre. Listen to his album The Flower King for a sample of his qualifications for collaboration with Jon Anderson. I hope I can learn to like this album, and I hope they find another opportunity to work on new material in the future. I have to agree with you on “Invention of Knowledge,” Steve, although I also think there’s just WAY too much going on with the musical arrangement. All sorts of stuff drowning each other out in the mix, wandering around in the wilderness with not a single thematic through-line I can identify, while Jon just kind of circles around overhead, yammering on about whatever new-age feel-good happy-happy joy-joy subject happens to have his attention at the moment. And every “song” sounds the same – there’s no real melodies anywhere, just melodic constructs designed to prop up the meandering lyrics. Everything Jon sings sounds like everything else he’s done for the last decade or so. VERY disappointed in this release. Also, I really like your “two” desert island picks! In my book, Jon Anderson gets a pass for life because of everything he did with Yes between 1970 and 1977, and a few other things outside of that. All the Yes guys from that era can do anything they want now because after Close to the Edge, they really had nothing to prove. I’ll always take an interest in their current projects, but after the Union disaster, I don’t hold out high expectations, and that’s absolutely fine. I was curious about Invention of Knowledge, but not eager for it. I’m excited to discover more music of the genre, however, and am thrilled to find bands like the Flower Kings and Glass Hammer who have taken what Yes did in the 70’s and built their own work on that sound. I think you make an excellent point about too much going on, Joseph and I suspect this is one reason it sounds rather samey (or lacking in contrast, as I’ve suggested to above.) Good call! The beauty of layers with our favourite band is that they work both with and against each other to create tension and release, and remain independently identifiable thorughout. Not so here. However, I think you will find there are plenty of musical themes here that do re-surface in different forms throughout the album – it’s just they are not necessarily as memorable as some others – they don’t pass the Old Grey Whistle Test. Wow…excellent posts guys and gals…lots of great Desert Island selections. .and opinions on the Anderson/ Stolt album. ..Oh and don’t worry Joseph…I’m pretty sure Kevin won’t excommunicate you for having an opinion. It’s what makes the world interesting. my desert island pics…..Magnification and Anderson’s Olias CD. these are the 2 I listen to the most and don’t really think I could live without. Hello YMP’rs. I haven’t been on the board much for a while due to the frantic pace of my life lately as I’ve been working pretty much all the time, but I HAVE been listening to the podcast. I never miss it. I download podcasts to my iPod and listen while I’m driving. So, I have a rare day off, and thought I’d pop on with a few comments here and there on several episodes. For this episode, I enjoyed the Desert Island pick a lot, and I must agree with MAK on the choice of Relayer to represent the classic years. Relayer, for me, was the pinnacle of all Yes had been, or ever would be again. It is the culmination of all things that made Yes Yes. It was also the first album I ever had to “learn” to love. When it first came out, it was bottom of the barrel for me, but the keyboardist in the band I was in thought it was the greatest thing ever. He’d go on and on about it. So……………every night, I’d put on a little section of 1 song. Really think about what I’d heard in that section, then I’d move on to the next section, etc.. Then, I’d lift the needle and listen to the whole song with the background of the section analysis I had just done. Just a few times doing this exercise, and I started really enjoying this music. It opened up vistas to me, not only in my understanding of Yes music construction, but in my music listening in general. My actual appetites and musical tastes changed dramatically. Sadly, I would never again find as much challenge and enjoyment in any record of the rock format as I did in Relayer. I’m afraid unlocking Relayer also hurt me in that regard. It made all of my other musical heroes seem just a bit lazy by comparison, and not as concerned about the advancement of their craft as Yes at the time. This attitude, (which I consider a negative, and elitist one), fortunately didn’t last too long, and I began to see that the other acts have achieved the same depth and complexity in their music using a different palette and using the tools that they knew how to use the best to reach their own crescendo’s. So now, I can listen to Queen II, Dark Side of the Moon, Goodbye Yellow Brick Road, A Love Supreme (Coltrane), Rumors (Mac), Apostrophe, Thick as a Brick, or On the Threshold of a Dream for instance, and hear the same perfection in the use of talents and tools that I find on Relayer, and not dismiss them because perhaps there wasn’t as much ingenious use of lyric imagery, or time signature. But these were all artists at the very top of their game, making the best use of their God given talents. So in the end, even the negative elitism that developed in me briefly became a deeper understanding of all kinds of music, and once again opened wide my musical tastes. Relayer though, will always remain for me, the peak of what the Rock music form can be. There’s never been anything quite like it. Not even by Yes themselves. I think they picked up the ball from the Beatles in 70, and kept that progression going in their stead to the ultimate realization and fusion of musicianship, artistic freedom, and perfection that was Relayer, but without ever losing the melodic Beatle pop hooks found in the say Eleanor Rigby or I Want to Hold Your Hand. My second desert island Yes pick is using the same logic as MAK, That logic being is that while there are lot’s of micro-categories of Yes music, there was only one absolute and complet see change in their musical presentation and approach. There is all other Yes music and there is the Yes music directed by Trevor Rabin. MAK picked 90125 to best represent this line-up. My favorite, and so my pick to satisfy my need for “The other Yes”, or “YesWest” is 1994’s Talk. To my ears, it is the Rabin the peak of the Rabin years, in spite of a poor showing at the box office for the ensuing tour, and tepid record sales. This is a fine, fine album, and I think my fourth overall Yes album. There is a certain sadness in Talk for me though. I believe that they were heading someplace with Talk that would have become grand and wonderful in the way the classic sequence of Yes was, but for whatever reason, nobody had the time, energy, money, will, or whatever to continue to see it through. We’ll never know what the follow up to Talk would have been line. Trevor was called to Hollywood, and the others drifted off into different things because of the reception given this album. It’s a real shame. But maybe not. I mean Yes is still around now, and still making music. Maybe they wouldn’t have been. Maybe it would have 2 or three more, and then out for good. Who knows. I just can’t help but wonder sometimes. I didn’t want to like Talk. There used to be a Yes hot line or some such thing in the states from the late 80’s to the early 90’s where you could find out inside info on Yes. It was run by a Nic something or other. Anyway, when I heard that they were making a new album, (this was right after the Union tour), on this hotline, I contacted the new record company, (Victory), and to my surprise I found somebody willing to talk about the album. My biggest question was whether or not it was a real union album, with all 8 writing and recording together. They told me, no. It was going to be the 90125 line up. I did NOT expect that at the time. While I was a big fan of 90125 and BG, I was a bigger fan by far of classic Yes, and even better still the idea of Yes as an 8 piece going forward, incorporating all the best of both worlds. So my phone call left me disappointed. 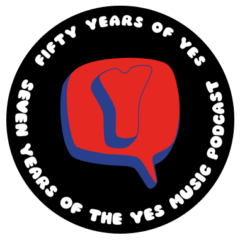 Without much enthusiasm, I turned on a radio special during release week, where Yes themselves premiered the songs of the album on the radio. While the members of Yes were obviously drunk, and the host was an over the top fan boy, (the special was really bizarre), I DID get to hear the entire Talk album before buying it. I was sold by the music I heard. It was their best music as the Yes band since Drama as far as I was concerned, and now I think it holds up as their best album between Drama and Heaven and Earth. The best, post classic Yes album, in other words, and therefore my choice for the desert island along side Relayer. Oddly enough, if I were to recommend one album by each of the two major Yes factions to someone who was unfamiliar with Yes, I would recommend Fragile from the classic era, and 90125 from the Rabin years. I’m afraid my own two desert island picks are for seasoned Yes fans, and wouldn’t be good gateway albums into this amazing band. comments. Some very excellent points were made and I found your selection of Talk, another great example of how time can greatly influence of choices.